Short Info:- The department, (West Bengal Recruitment Board) has released the Official Notification regarding the WB Police Recruitment 2019. Following recruitment is for the Constable profiles. Candidates who want to be the part of (West Bengal Recruitment Board) can apply for the same. There are a total of 8419 posts for the declared recruitment. WB Recruitment is very important especially for those who want to be a part of the West Bengal Police Recruitment Board because of the number of vacancies is very high this time so the chances to grab this job profile are also higher than ever before. West Bengal Police Recruitment 2019 applications have started on 5th February 2019 and it will be going till 5 March 2019. 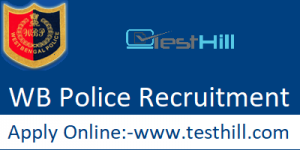 West Bengal Police Constable Recruitment 2019 is available on the official website i.e. www.wbpolice.gov.in. Aspirants can go and check all the essential information regarding the West Bengal Police Recruitment 2019. WB Police Recruitment 2019 is released only for the Male Candidates. So, the rest of the categories are suggested to wait for the further call. We know that the applications have started on 5th February 2019 and will be going till the 5 March 2019. So, all candidates are advised to register to the West Bengal Police Recruitment 2019 before the last date i.e. 5 March 2019. In case of crossing the due date, the authority will not able to submit further applications. Aspirants must have read the West Bengal Police Constable Official Notification before making the online application. They all need to provide authentic information while making the online application. Because there is no room for misguidance. The authority has all rights to reject your application at any time. So, be aware while applying for the West Bengal Police Recruitment 2019.